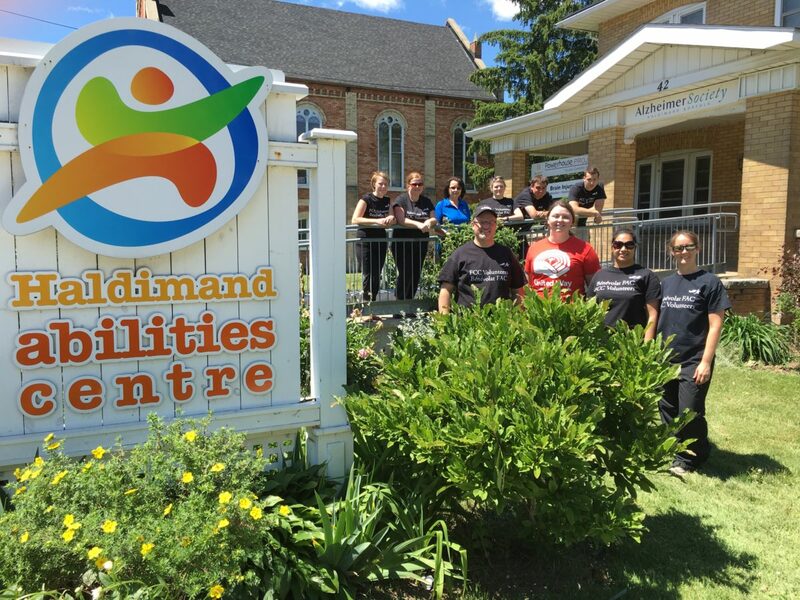 Day of Caring at Haldimand Abilities Centre a Success! United Way of Haldimand and Norfolk held 2016’s first Day of Caring event on June 22nd at the Haldimand Abilities Centre in partnership with Farm Credit Canada’s Simcoe office. The event was a great success with volunteers from Farm Credit Canada working hard to beautify the sensory garden at the Haldimand Abilities Centre. After a full morning of weed pulling, hedge trimming and more, the change was impressive. The sensory garden supports the needs of people with dementia, vision loss and brain injury. It has great therapeutic and educational benefits and is helpful for dealing with disabilities that affect sensory responses. Volunteers from Farm Credit Canada visited the Haldimand Abilities Centre to help them beautify their sensory garden. Volunteers from Farm Credit Canada busy at work in the garden. A group of volunteers from Farm Credit Canada working on the Haldimand Abilities Centre’s sensory garden. Please contact Brittany Burley at [email protected] if you’re interested in participating in a Day of Caring event. Next Next post: Fanshawe Student Union Donates $567.85!